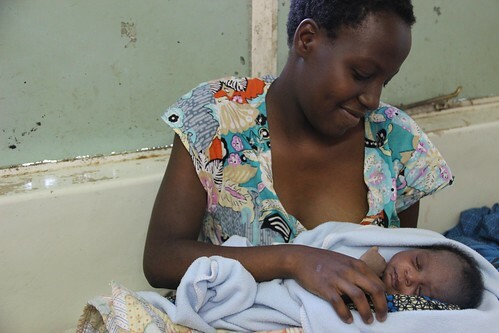 Young mum Mphatso Gumulira, 15, with her son Zayitwa in the Queen Elizabeth hospital in Blantyre, Malawi. She had to drop out of school when she became pregnant. Up to a quarter of girls in sub-Saharan Africa drop out of school due to unintended pregnancies. Mphatso's advice for girls is to, "Get educated first and you can have children after that once you are on a responsible way. You will be able to do many things on your own and take care of your family." Mwanasha hopes her grandmother will look after her son so she can return to school. "My ambition is to become a lawyer to help my child in the future and to teach him to be a responsible person." On 11 July 2012 the UK Government and the Bill & Melinda Gates Foundation will host a groundbreaking summit to cut in half the current number of women and girls in the world’s poorest countries without access to contraception, but who wish to avoid pregnancy or space their children. Every woman and girl deserves the opportunity to to determine her own future. Contraceptives give the world's poorest women the power to decide if and when to have another child. This image is posted under a Creative Commons - Attribution Licence, in accordance with the Open Government Licence. You are free to embed, download or otherwise re-use it, as long as you credit the source as Lindsay Mgbor/Department for International Development'.